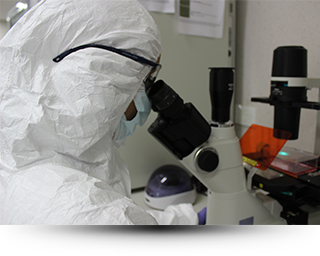 Cryopreservation of cells is a common practice in labs dedicated to cell culture, especially those that produce regenerative medicine tools. The cryopreservation technique is the basis of so-called cell or tissue bank. It involves subjecting cells to a careful and programmed temperature drop, reaching -155 ° C, under which they are preserved in special cases containing nitrogen gas. Under these conditions the cells stop their life processes, without aging and are kept intact and ready to return to life. Experience shows that cells can be cryopreserved for many years. The Stem cells thus preserved, when implanted will act with the power and efficiency corresponding to the age at which they were obtained. 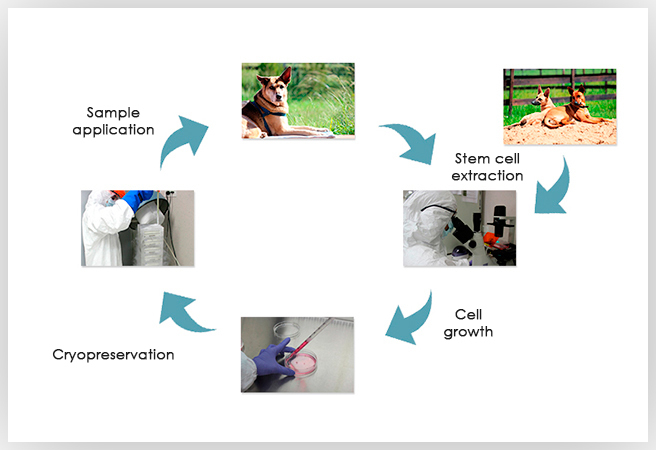 The Hearten Biotech cell bank represents an innovative offer managed by specialists to solve different diseases for the veterinary area by storing the cells of your pet. In addition, Hearten Biotech offers the possibility of using cells from a healthy and sanitary controlled donor, which is beneficial because it is fast and does not require sampling.